No one like blisters. Many years ago, the MXA gang showed Dr. Jeff Spencer our torn-up hands and ask how to stop blisters from happening. Here is exactly what he told us. Step one: Start with a roll of 2-inch-wide, adhesive, elastic tape. Step one is to cut four strips of tape into 4-inch-long segments (one for each finger). Step two: Dead center in the 4-inch strips of tape, make a lengthwise cut in the middle. This slit needs to be big enough for your fingers to fit through (approximately 3/4 of an inch). Step three: Slide the first 4-inch strip of tape over your index finger (the one you point with) and press the tape flat. 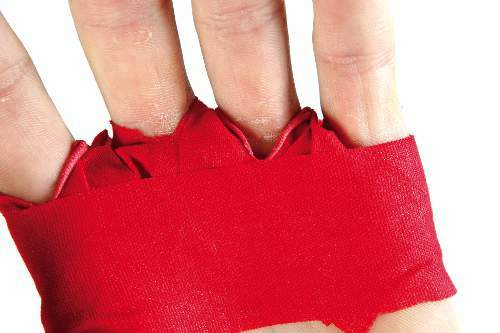 Repeat the process over each finger, making sure that each strip of tape overlaps the strip before it. 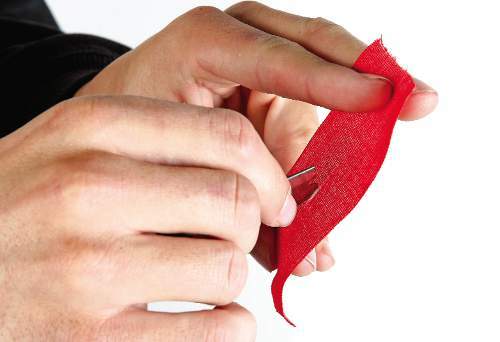 You can trim the strips to fit better, but make sure there are no wrinkles in the tape. 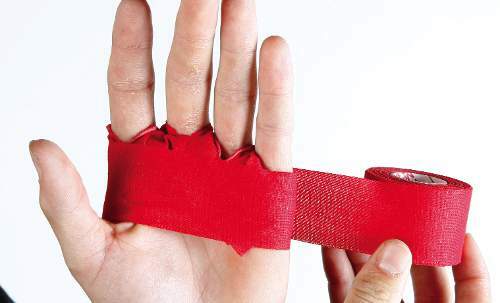 Step four: Using the same 2-inch-wide adhesive tape, start at the back of your hand and wrap it twice around your hand, ending the taping on the back of your hand where you started. Step five: Make sure that the tape is smooth and positioned to hold the ends of the finger pieces in place. Do not wrap your hand too tightly or you will cause hand cramps. Once you get to this point you can take scissors and cut away the bunche dup tape around each finger. 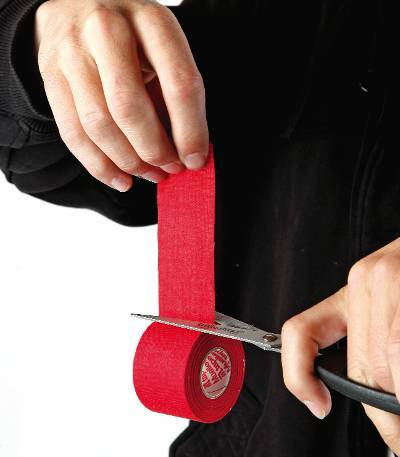 The tape job doesn't have to be too neat, as long as there are no folds or wrinkles over the high wear areas. Heat and pressure will make the tape form-fit your hand.